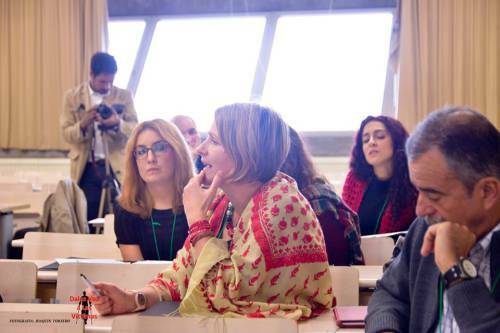 The 39th European Conference for Support and Solidarity with the Sahrawi People (EUCOCO), held in Madrid, Spain, on 14-15 November 2014, hosted a workshop on “the wall, mines and mine victims”. Taking into account the operational framework established by the International Campaign against the Wall of the Moroccan Occupation in Western Sahara, the workshop focused its discussions on reflecting on the concrete actions that could be undertaken to move the campaign forward and to achieve its goals in the short, medium and long term. In this context, the discussion focused on three main areas: (1) awareness raising, (2) denunciation and protest, and (3) actions relating to mine victims and mines. 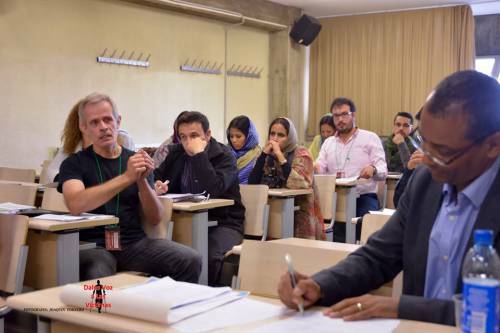 The recommendations of the workshop include, inter alia, carrying out awareness-raising campaigns at local, regional and national level to break the silence surrounding the wall and to draw attention to its multiple negative effects on the Sahrawi civil population on both sides of the wall; organising a demonstration in front of the wall on 12 October 2015; following the example of the complaints filed in Spain against the sales and exports of arms to Morocco, presenting complaints in other European countries and in other continents before national and international courts against companies that contribute to the maintenance of the wall; and promoting projects of assistance to mine victims and others relating to humanitarian demining and mine risk education.